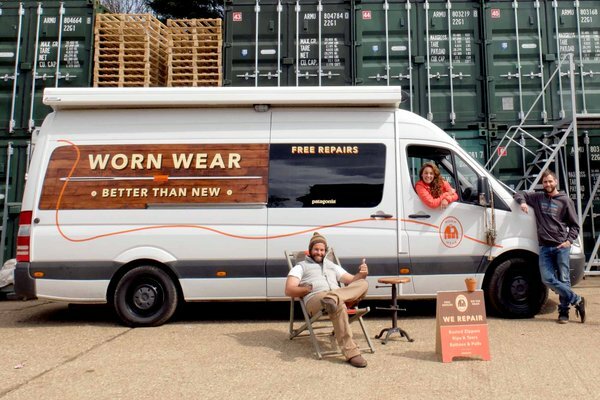 Head to Hayle, Cornwall and let the Worn Wear team fix your well-loved outdoor gear (including for the first time, wetsuits!). Bodyline Wetsuits will be at Down the Line Surf Shop in Hayle, Cornwall on the 30th April & 1st May supporting Patagonia’s Worn Wear UK Tour, providing wetsuit repairs and wetsuit care advice FREE OF CHARGE. ‘As individual consumers, the single best thing we can do for the planet is to keep our stuff in use longer. This simple act of extending the life of our garments through proper care and repair reduces the need to buy more over time – thereby avoiding the CO2 emissions, waste output and water usage required to build it.’ – Rose Marcario, Patagonia CEO. No longer wearing that fleece? Get it into the hands of someone who needs it. Saving up for a surf trip? We make it easy to buy, sell or trade used Patagonia gear with others. And yet, everything natural or manufactured eventually comes to the end of its life. Everything natural gives life to something new, so should the things we make. Whatever you’ve bought from Patagonia that’s finally worn-out, you can return to us so that we can recycle it into new fiber or fabric (or repurpose what can’t yet be recycled).